Longtime South African hunter Claude Kleynhans was loading a freshly-killed buffalo carcass onto his vehicle when another buffalo surprised him with a deadly charge. 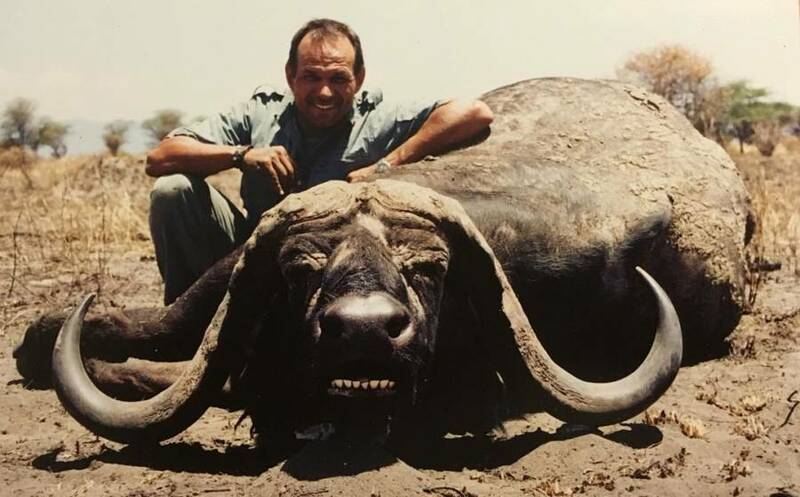 Claude Kleynhans/InstagramClaude Kleynhans poses with the body of an African buffalo. 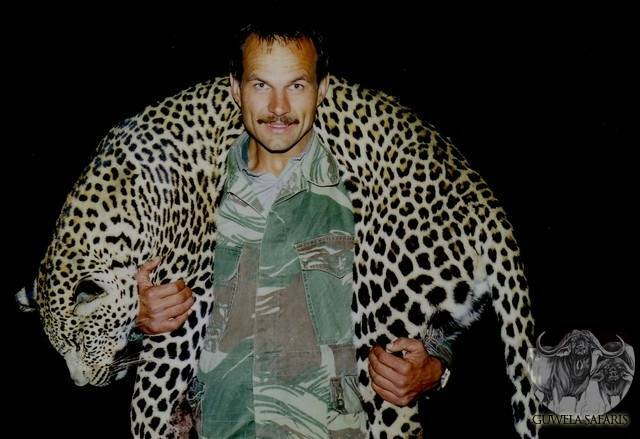 For more than 30 years, this trophy hunter killed the wildlife of South Africa. But now one of the animals he’s long hunted has sent him to his grave. On May 22, 54-year-old Claude Kleynhans and his hunting party shot and killed an African buffalo near the Levubu River in South Africa’s northern Limpopo Province. But as Kleynhans and his companions prepared to load the carcass onto their vehicle, another buffalo from the same herd charged the hunter and gored him in the groin with its horn. The attack hit his femoral artery, according to local news site the Bosveld Review, killing him almost instantly. 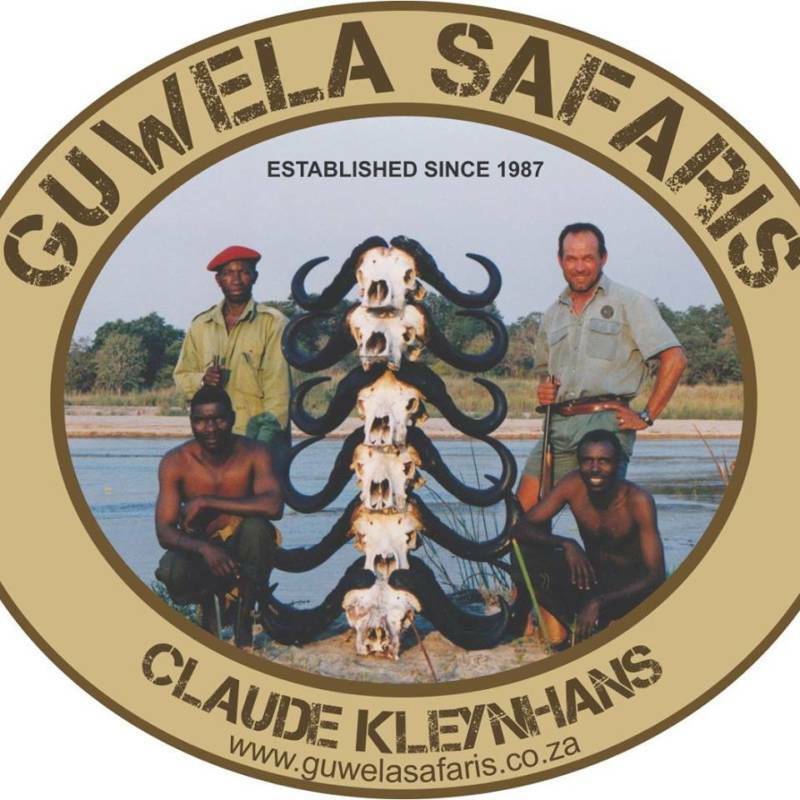 Guwela Safaris/FacebookClaude Kleynhans (top right) poses with several African buffalo skulls in this logo for his company, Guwela Safaris. Claude Kleynhans describes his services in this promotional video for his company, Guwela Safaris. Weighing in at as much as 1,300 pounds, the fearsome African buffalo (a.k.a. Cape buffalo) can be dangerously territorial, aggressive, and protective of their herd mates. If they have to fight off a lion (or several), they can handle it. And if they feel they have to kill a human whose gotten too close, they can easily do that too. By some estimates, they’ve killed more hunters than any other species in Africa. Claude Kleynhans never stood a chance against a surprise attack from one of these creatures. Characterized by local media as an ethical hunter, Kleynhans is survived by his widow and three children. Guwela SafarisClaude Kleynhans stands with the body of a leopard draped over his shoulders. 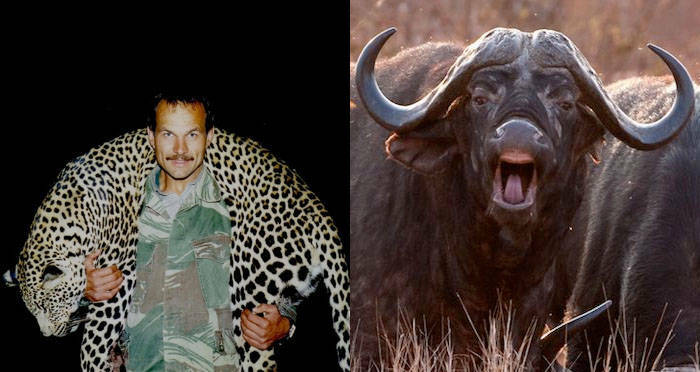 Despite claims that he hunted ethically (and the fact that the cape buffalo is not endangered), Kleynhans’ legacy quickly came under fire on social media as some commenters claimed that he was a poacher who got what he deserved. While the poacher characterization doesn’t apply in this case, the larger controversy surrounding African big game hunting will surely live on. Next, read up on the longtime lion hunter who fell to his death while on a hunt. Then, discover the recent story of the lions who killed and ate a suspected poacher, leaving only his head.